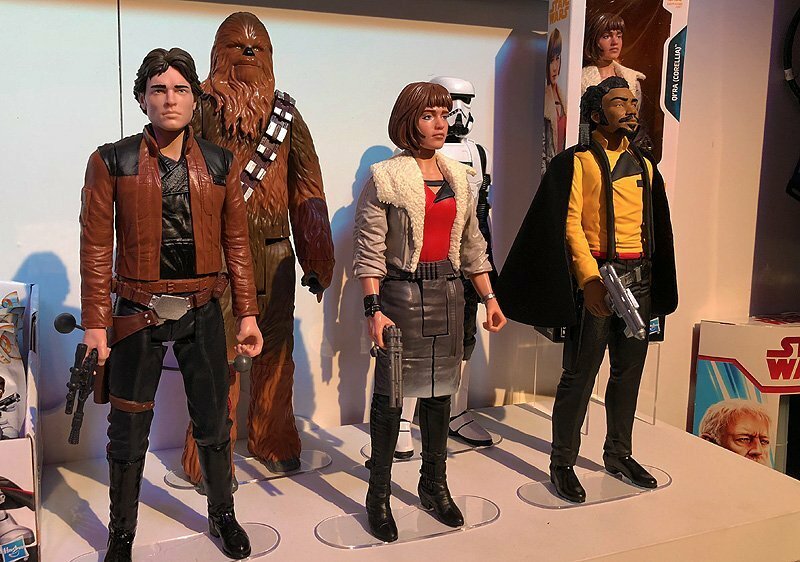 Hasbro Star Wars Toy Fair Gallery with Solo & More! ComingSoon.net was invited to the Hasbro Toy Fair Showroom for their annual Brand Preview Event in New York, where they revealed their new Star Wars lines for the upcoming calendar year, including Walt Disney Pictures and Lucasfilm‘s Solo: A Star Wars Story, as well as a massive Jabba’s Sail Barge created for Hasbro’s new HasLab crowdfunding platform, which you can become a part of at this link. Check out the new Star Wars Toy Fair gallery via the link below!